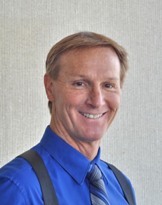 Curt worked for twelve years as a manager at several valley resorts; during this time, he received a Bachelor of Science degree in business at Arizona State University. He attended the University of Pacific, McGeorge School of Law, in Sacramento, California where he received the American Jurisprudence Award and Corpus Juris Secundum Award for Torts. After graduating from law school, Curt served as a law clerk for Judge James Ackerman (deceased) of the Arizona Court of Appeals where he further developed his skills for legal analysis and writing. Following his clerkship, Curt has represented plaintiffs in personal injury and commercial litigation, as well as Trustees in bankruptcy. He has briefed and argued numerous cases before the Ninth Circuit and Arizona Court of Appeals. Recently, he obtained a favorable decision from the Arizona Court of Appeals in Penn-America Ins., Co. v. Sanchez, 220 Ariz. 7, 202 P.3d 472 (App. 2008), which clarifies an insurer's obligations to its insured. Today, Curt's practice is focused solely on representing plaintiffs in cases involving defective products, vehicle accidents, dram shop, sexual molestation/assault and negligent security.